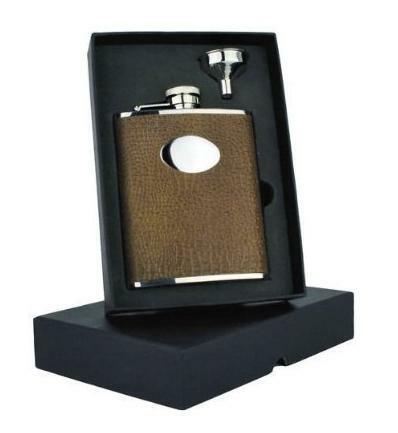 High Quality, 6oz stainless steel and brown faux leather hip flask and funnel set, would make the ideal personalised gift. The hip flask is covered in brown faux leather while the bottom is polished stainless steel along with the top, cap and edging. This hip flask has a captive top which insures it will not get lost!